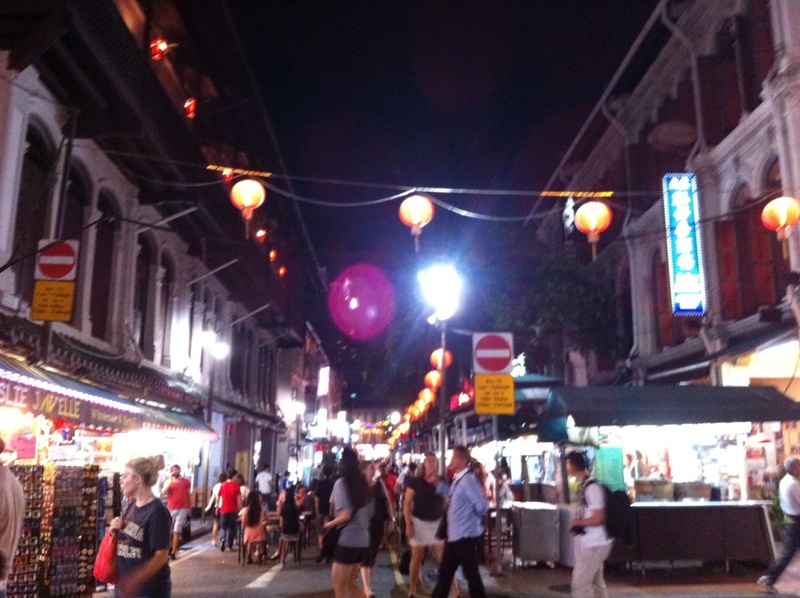 Hubby took me to Chinatown for dinner a few months ago and very kindly reminded me to take photos for my blog. He knows I have a special group of friends who would be interested to see these pictures so here they are. 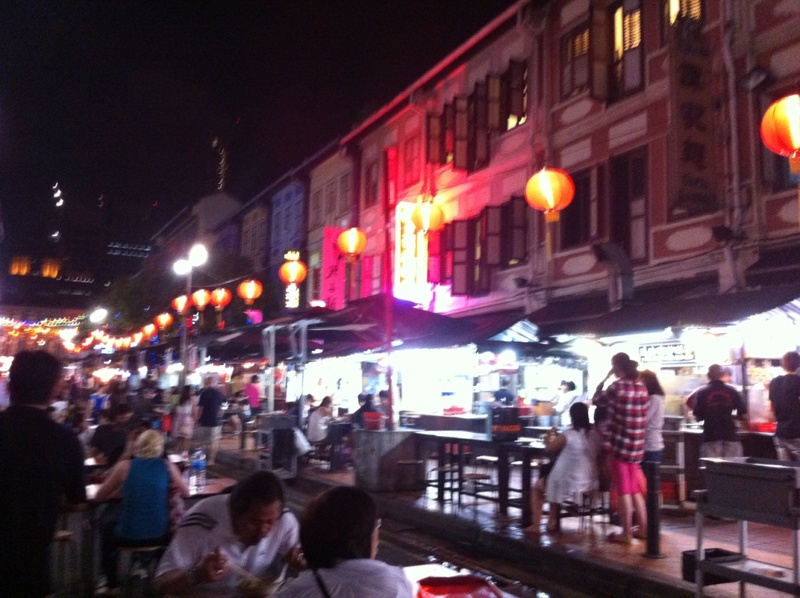 I’ve taken so many pictures of places that I’d been to in Singapore and of the food I ate but I just don’t have enough time to post them here. But it’s better late than never, right? Right! This is the first sight we saw after hubby parked the car. 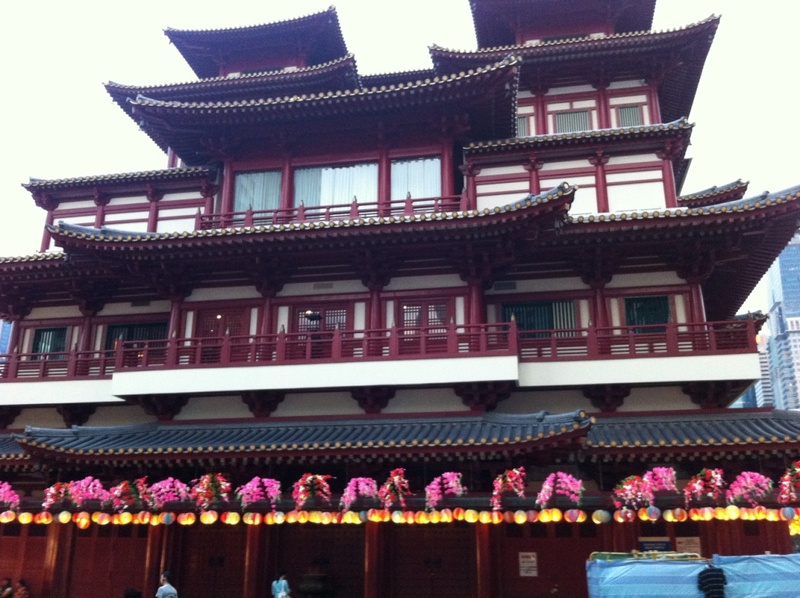 The Buddha Tooth Relic Temple. I had been inside once to take pictures but the photos were posted on FB because back then this blog wasn’t set up yet. There are so many Buddha statues in there that it’s impossible to capture them all. Oh, there’s a rule you have to follow if you want to enter the temple, and that is, women will have to be appropriately covered. If you’re wearing sleeveless blouse like I did when I went there to take pics, or if you’re wearing shorts or mini skirts, you should cover yourself up with the shawls or wraparounds provided at both entrances of the temple. Just take one and wrap yourself up before entering. 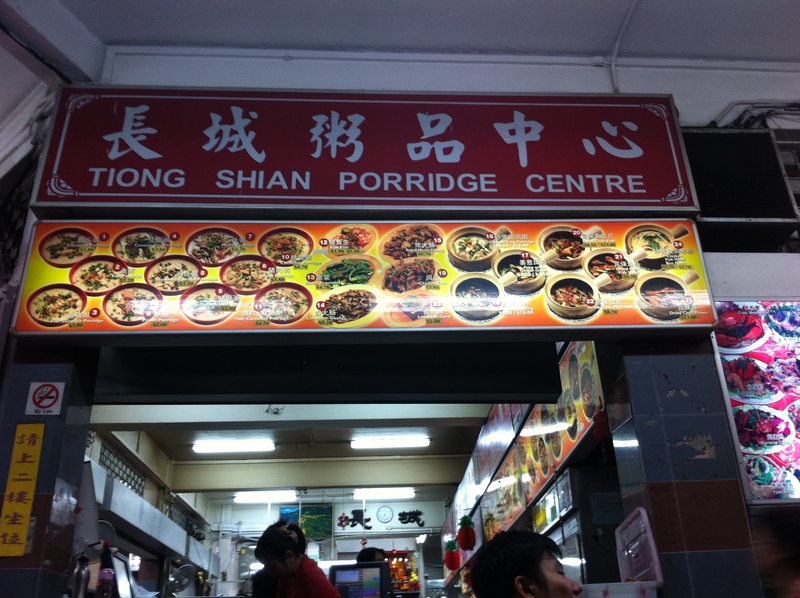 We didn’t go into the temple this time but instead went straight to dinner at this eatery famous for its wide variety of porridge. 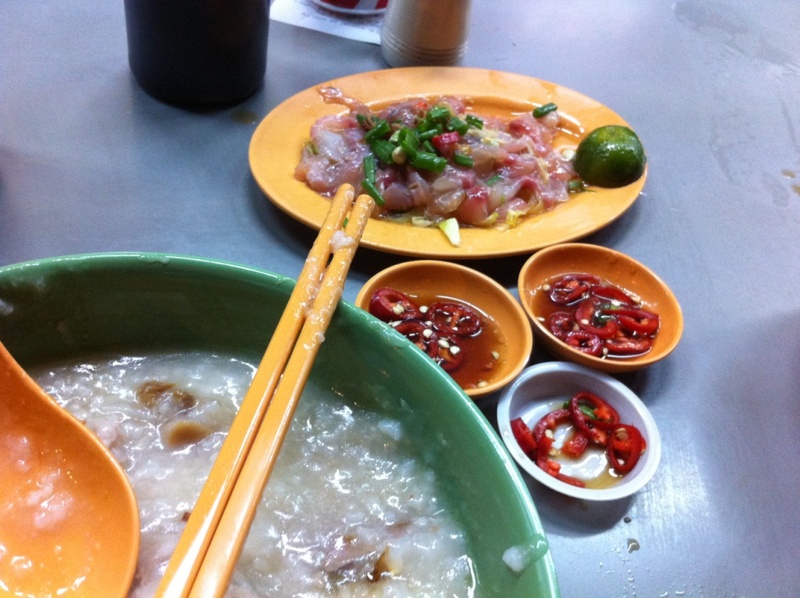 We each had different porridge, hubby’s was fish porridge while mine was mixed pork and innards porridge (I know some of you will go ‘YUCK’ :P). We had a plate of raw fish to go along with the porridge as well. It’s not uncommon (or ‘It’s not unusual’, as Fernando would say in The Wizard of Wacko :P) to see old ladies or old men touting packets of tissue paper at open eateries and hawker centers here. It is illegal but as long as they are not causing nuisance to the customers nobody would complain. Some of them lead a hard life as can be seen from their faces and the clothes they wear. 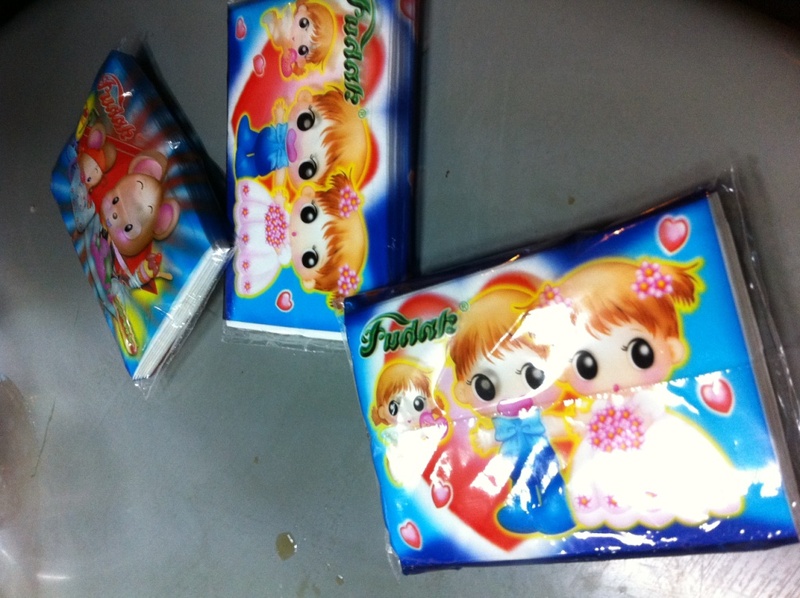 One such lady was doing her rounds and hubby bought 3 packets of tissue paper from her (it’s usually sold in 3’s). He asked her how much they cost and she replied, “Any amount would do.” Usually it’s $1 but since she wasn’t demanding or rude, hubby gave her $2 and she thanked us and walked away. Besides selling tissue papers, she collects used soda cans as well. Just before we left, I saw her scraping some leftover food from another table onto a plate to eat. It left a feeling of sadness in me as I walked away. 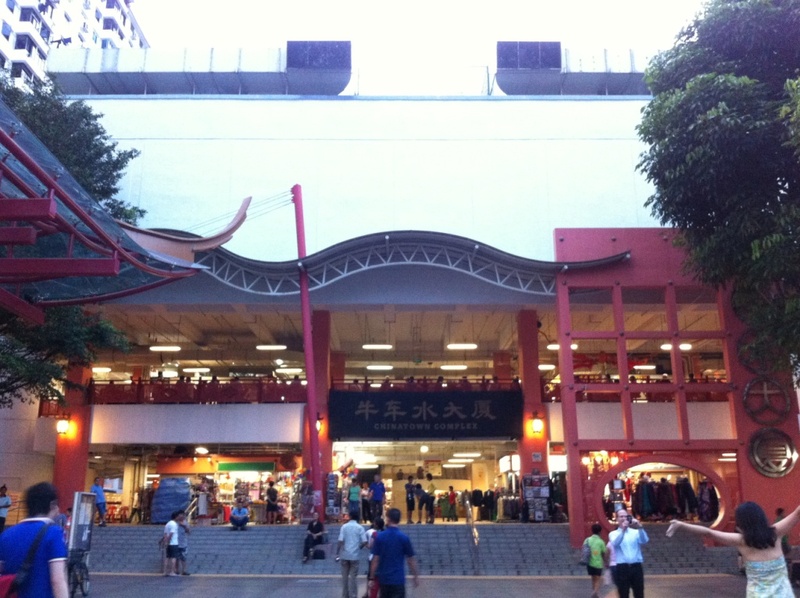 On the way to dinner we passed by Chinatown Complex. 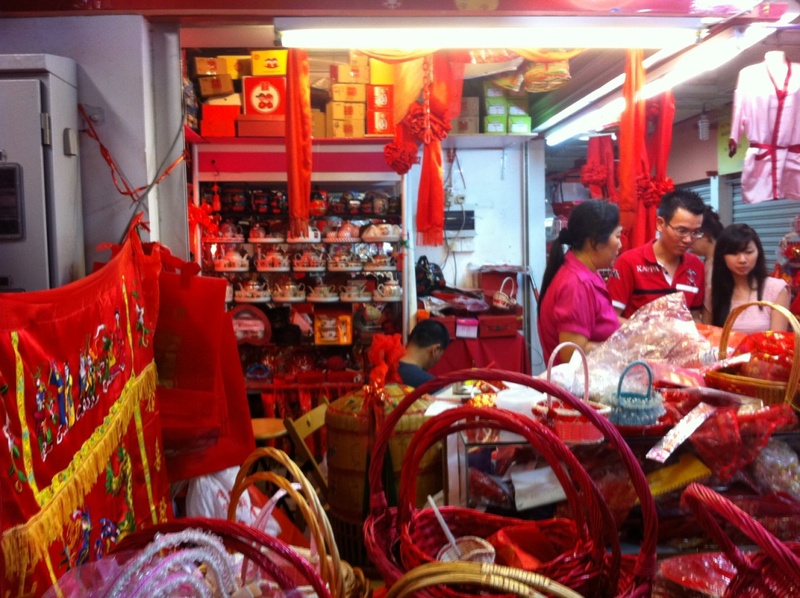 The first two pictures below were of a shop that sells traditional Chinese wedding goods. 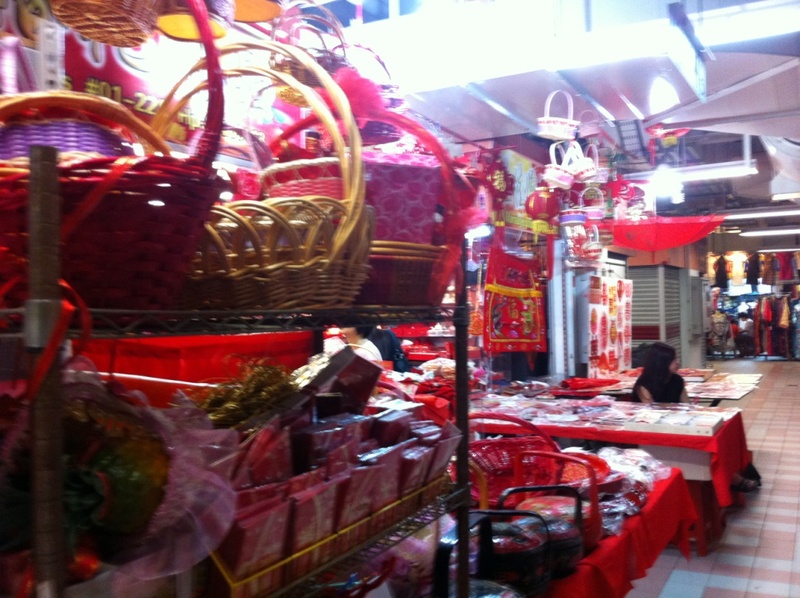 For those who want to follow Chinese wedding customs, this is the place to find all the necessary stuff and also get some advice on the customs of various dialect groups. The following 2 pictures were also taken at the same complex. 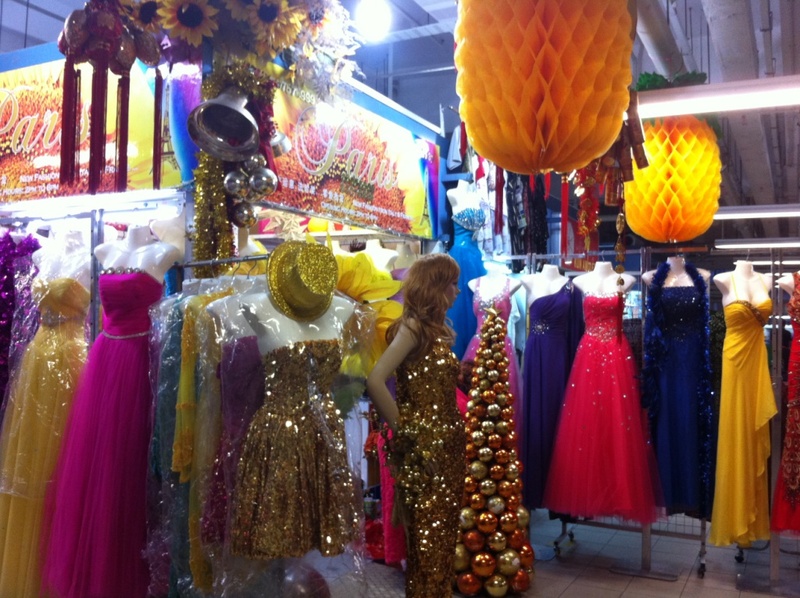 The shop sells elaborate gowns and party frocks. What a contrast to the shop selling traditional wedding stuff, eh? This lady, or Aunty (we always address strangers who are older than us as Aunty or Uncle), was all dolled up for perhaps a night at the club or a karaoke lounge. 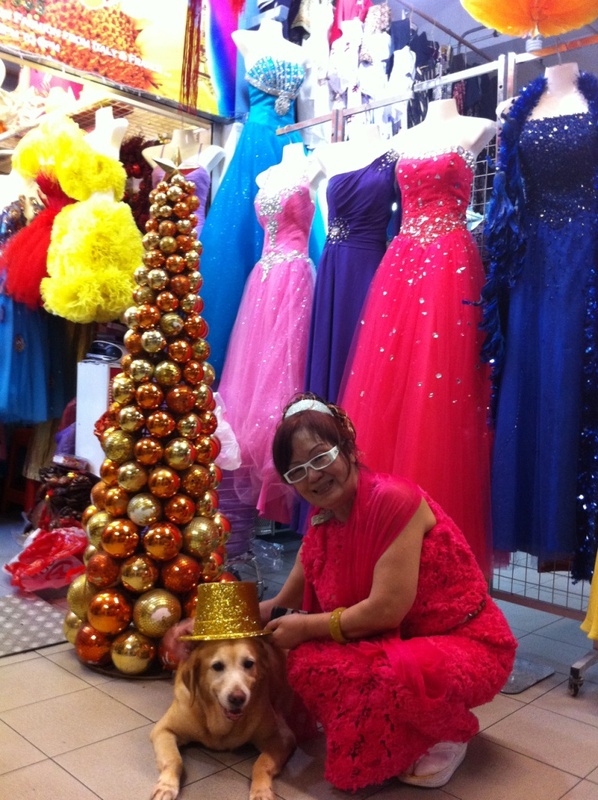 She asked a friend to take a picture of her with the shop owner’s dog and gamely posed for me as well 🙂 Karaoke is very popular here, not just with the youngsters but with the elderly people as well. Some even take up singing lessons and take part in singing competition that is aired over our tv. 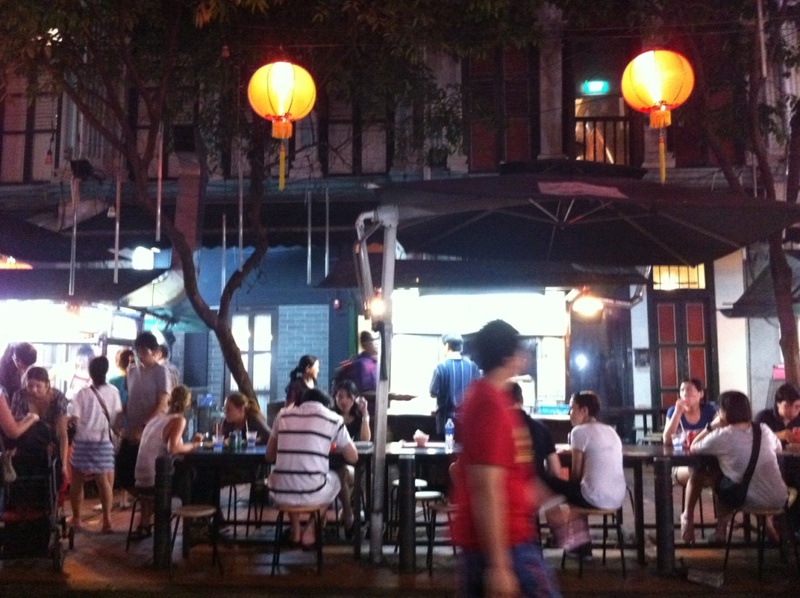 The following pictures are of Smith Street, also known as Food Street. 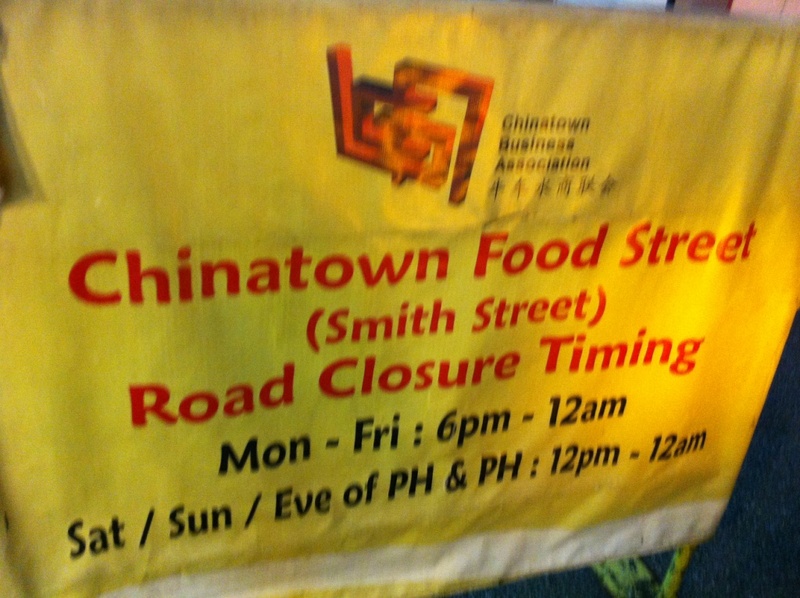 The street is closed for traffic when Food Street is in operation. 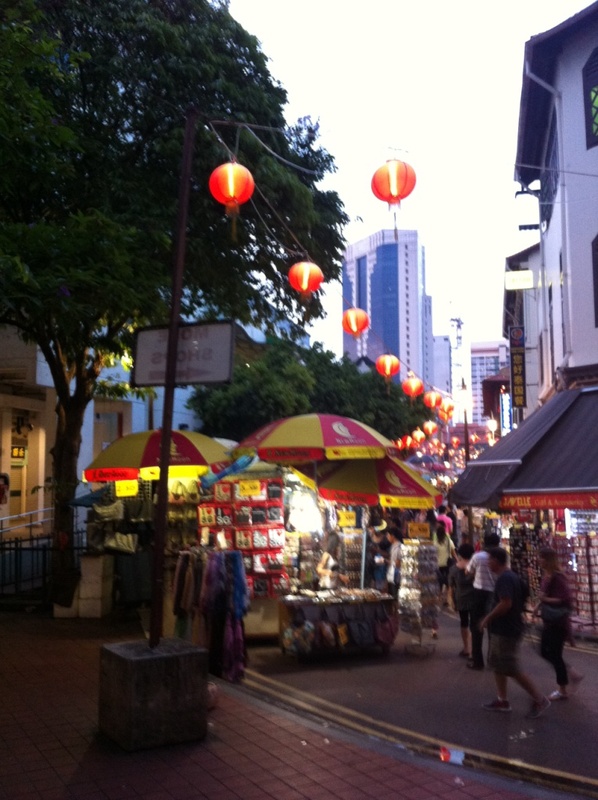 You can pick up many souvenirs and taste all sorts of local food here. 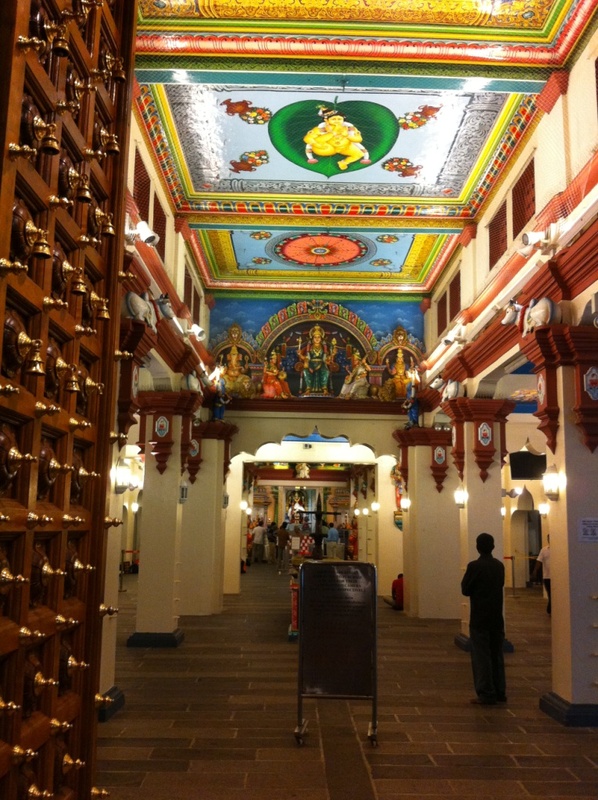 There are some interesting stalls/shops here. 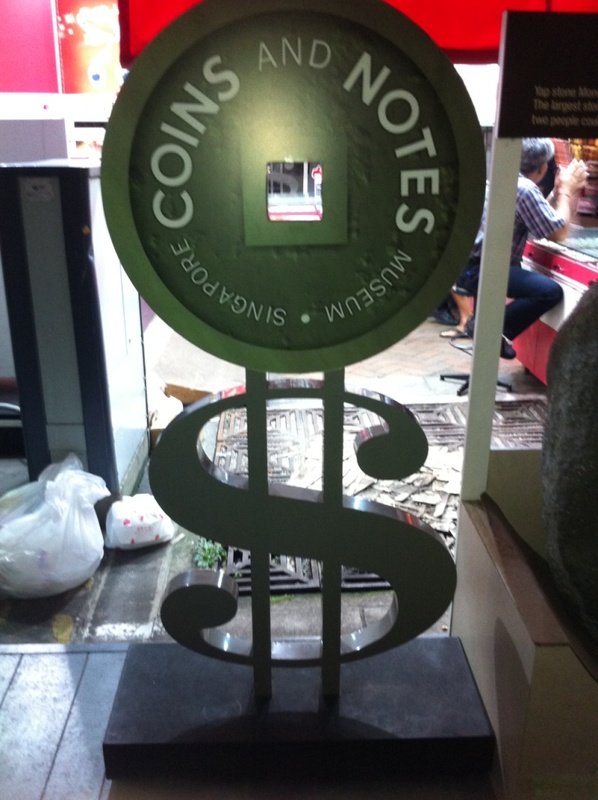 I didn’t know we have a Coins and Notes museum until we came upon it but it was already closed for the day. 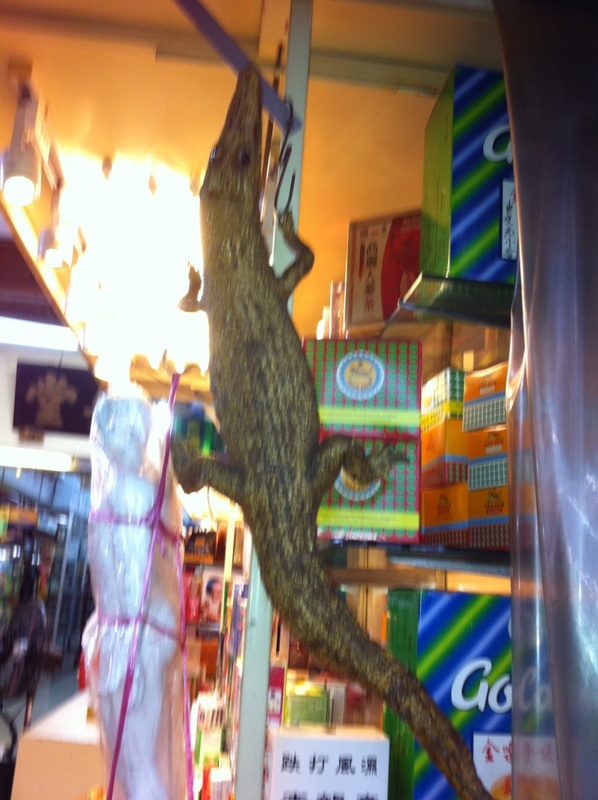 And these are taken at a Chinese medical shop. 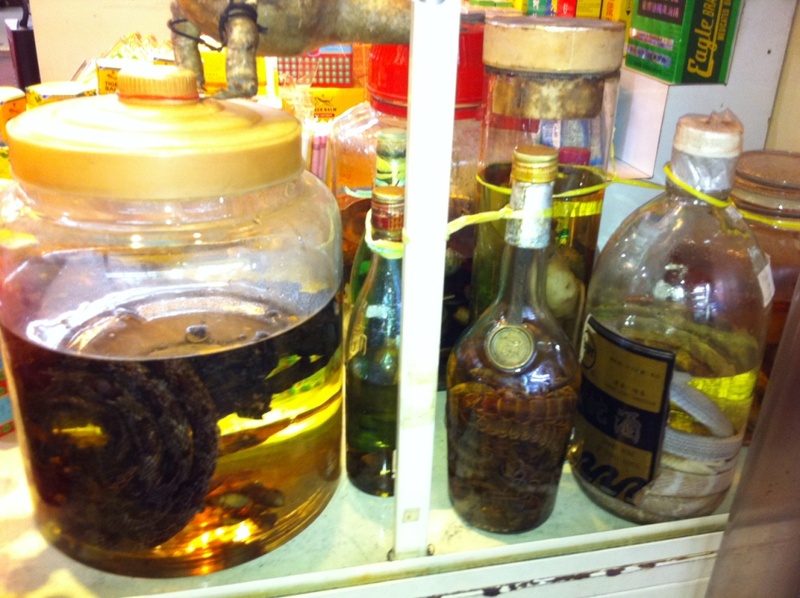 Almost all kinds of animals and plants have their medicinal properties according to the Chinese but you won’t see me trying any of these here! 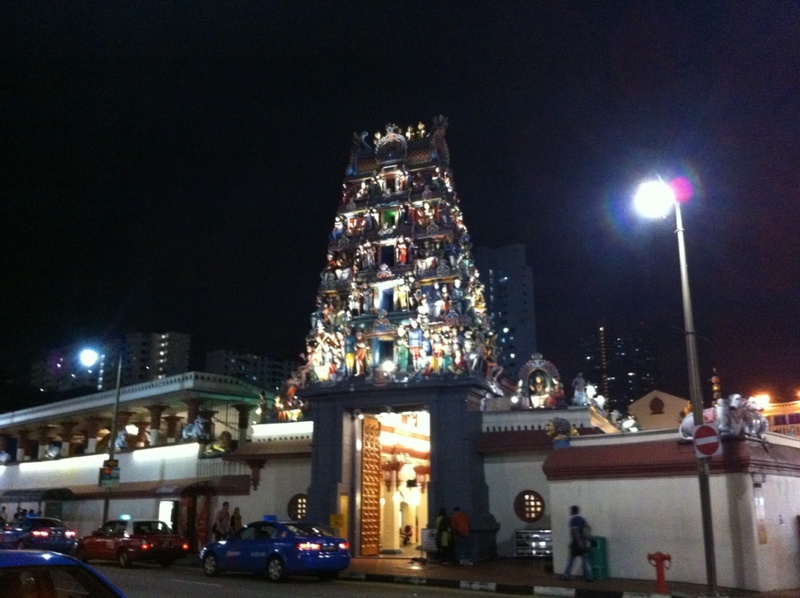 These last two pictures are of the oldest Hindu temple in Singapore. To enter, you need to leave your footwear outside the temple, just like any other Hindu temples. Love your pictorial trips Judy. Very interesting, and great photos. I need to invest in a digital camera. I love your blog, Judy! You always show the most interesting places. It’s such fun learning about other places and cultures. Thank you. 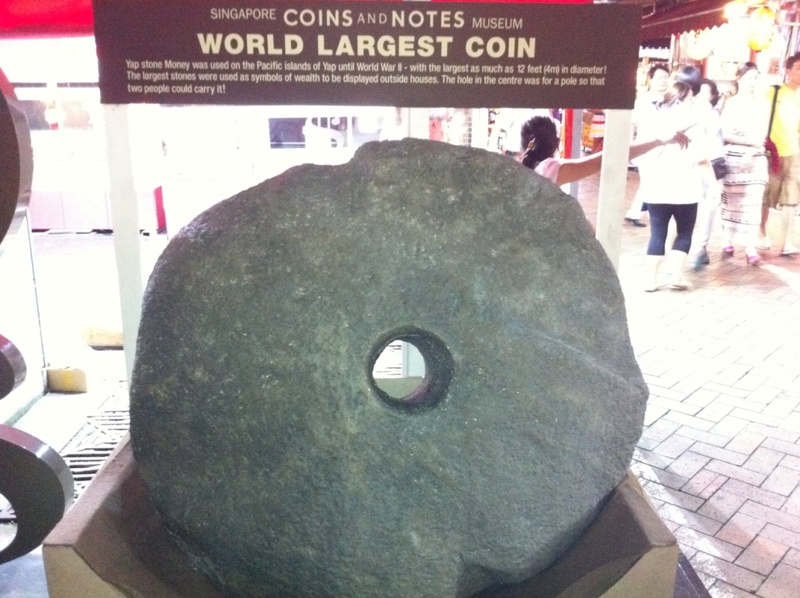 As usual, your pics and tour take me on travels from my chair..Just love it…Thanks so much..I have learned and seen so much of Singapore from you…I am enjoying the trip…Thanks..